For the Euro 2016 edition, UEFA have decided to increase the number of participating teams to 24, giving the competition a grand scale allowing the small nations like Slovakia, Albania and Wales to celebrate their maiden Euro appearances. As a result, there will be an unprecedented variety of Euro 2016 kits, which will only improve the visual appeal of the competition. 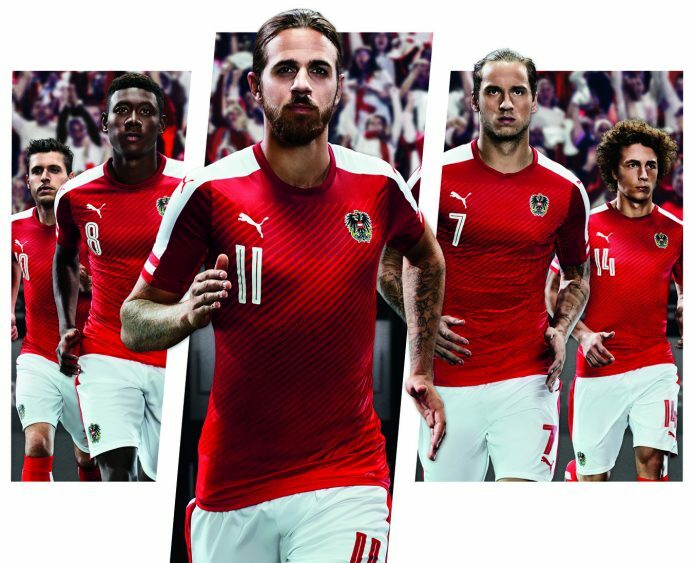 Austria have launched the new Euro 2016 Kit in association with PUMA at a press conference in Vienna, and the home shirt will be worn for the first time when Austria face the Swiss national ream in a friendly match on 17th November at Ernst-Happel-Stadion, Vienna. 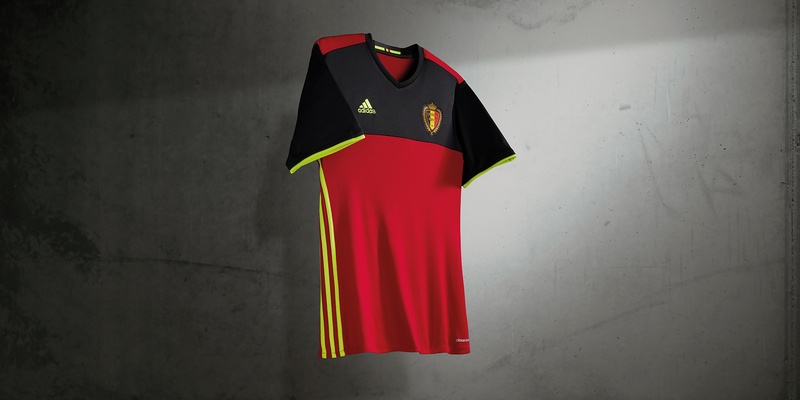 The Belgium Euro 2016 Kit is inspired by the Belgian tricolour. The shirt’s main colour is red, and has a contrasting black colour block on the chest. The lurid red and yellow details gives a fresh and tech look. 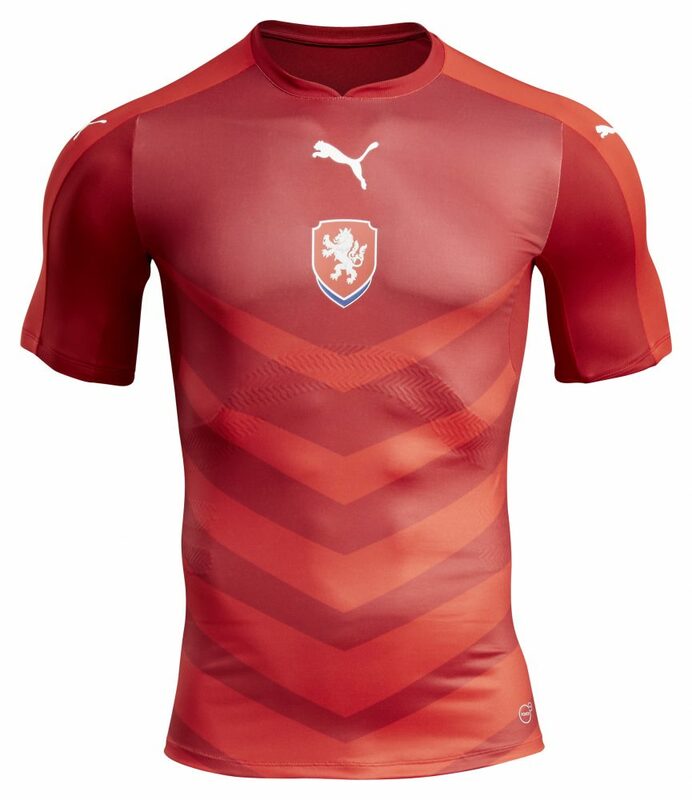 PUMA once again is the official sponsor of the new Czech Republic Euro 2016 Shirts after they extended a ‘long term term’ kit deal with the Czech Republic Football Association in September 2014. 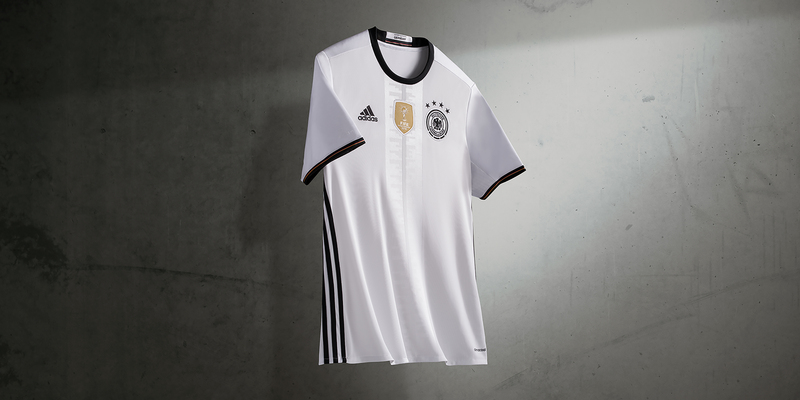 Die Mannschaft will look to capture the Euro title in France in a classic Black and White look. The new Euro 2016 Germany home kit is white in colour, combines with black shorts and black socks to create a timeless outfit which the football fans can associate with the national team. 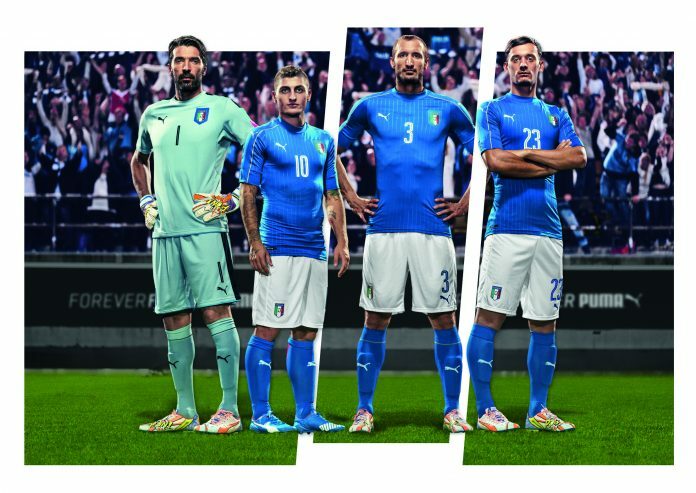 The blue and white Italy Euro 2016 kit is inspired by Italy’s glorious past success; the design is befitting of the great history of Italian football, along with a homage to Italian sartorial fashion. 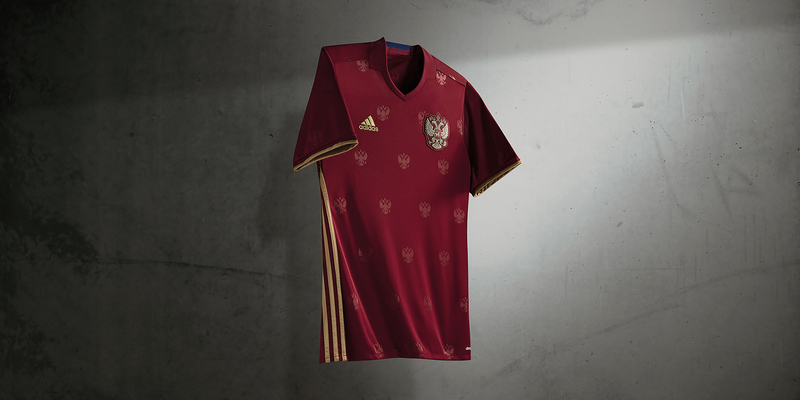 Adidas presents new Euro 2016 Russia home kit that demonstrates loyalty to traditional values. The new Euro 2016 Spain Kit sponsored by Adidas was unveiled at a spectacular event joined by the entire squad of the defending champions. This new kit has a classic design, returning to the blue shorts and dark socks. The triangle is the key motive of the jersey and if something characterises the National Team in the past years – it’s their triangle game; that game style that has managed to dominate world football and that will be present not only on the pitch but on the jersey. Designed by PUMA, the new Slovakia kit boasts a simple yet attractive look, combining a white base with a fitting blue borders on the sleeves. The brand new Switzerland Euro 2016 home shirt maintains the traditional Red outlook informed by the look of classic Switzerland football shirts. 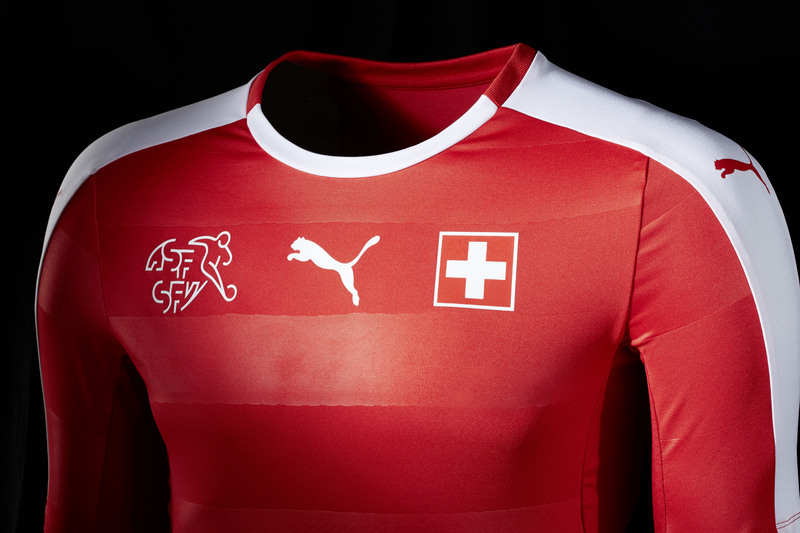 The new Switzerland 2016 kit is set to be debuted in the friendly against Slovakia on November 13, 2015. The England Euro 2016 kits sponsored by Nike features a classic white English body, light blue sleeves, and a single royal blue strip that runs the length of the shirt. The 2016 Euro England home kit socks are red in colour, and replicate the look of the English team that beat Brazil 2-0 in the Maracana in 1984. The Euro 2016 England away kit evokes memories of England’s greatest ever achievement in world football; the kit honours the 50th anniversary of 1966 World Cup victory at Wembley.